Border MX is so close to me and has been open for probably almost two years. Even though I’ve been eyeing the place since it opened, I finally made my way over there tonight. Anyway, the restaurant is much smaller than I thought it would be. And it already looks worn out, and plus the place smells like the dingy plaza. the place also was a bit on the warm, stuffy side. 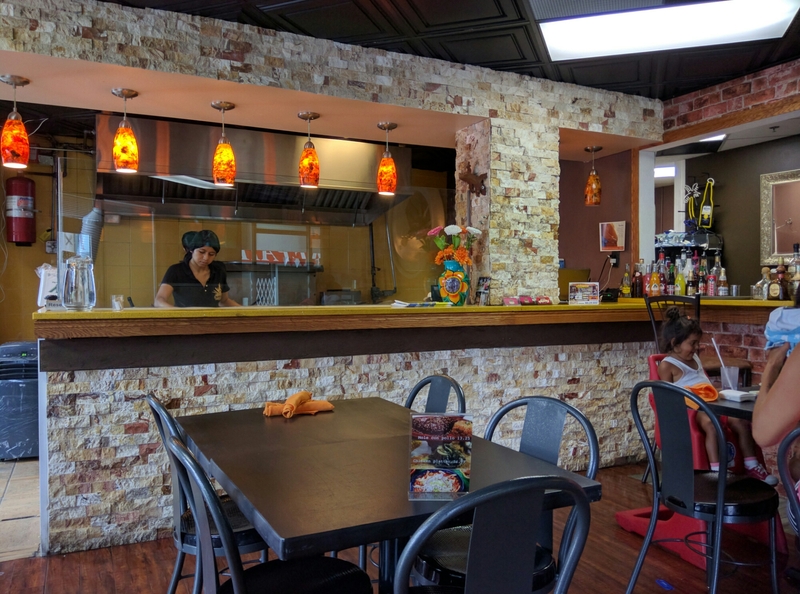 Despite this, Border MX seems pretty popular and has a regular flow of customers. We got there around 4:30pm and pretty soon, all the tables were pretty much filled. Latin music was playing loudly, making me soon feel like I was on vacation. 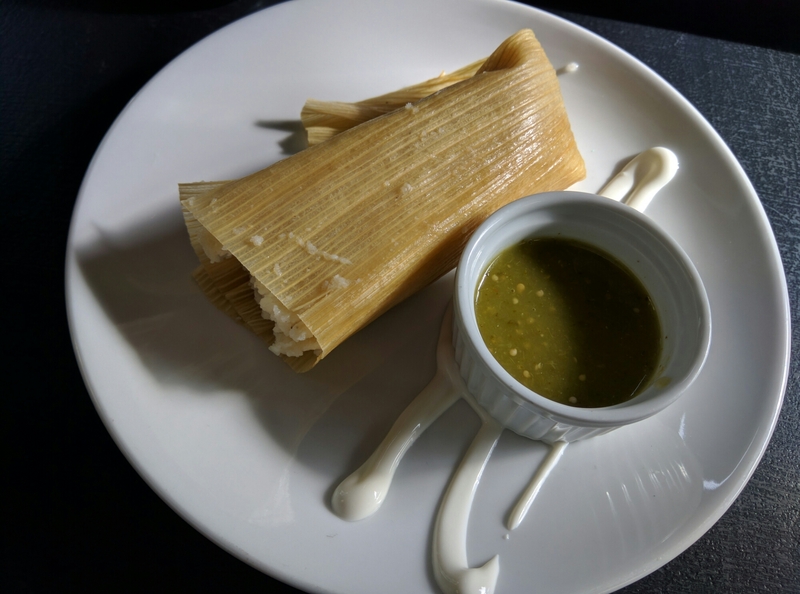 The menu has a nice variety of dishes to choose from including TAMALES! We had to order that for sure. 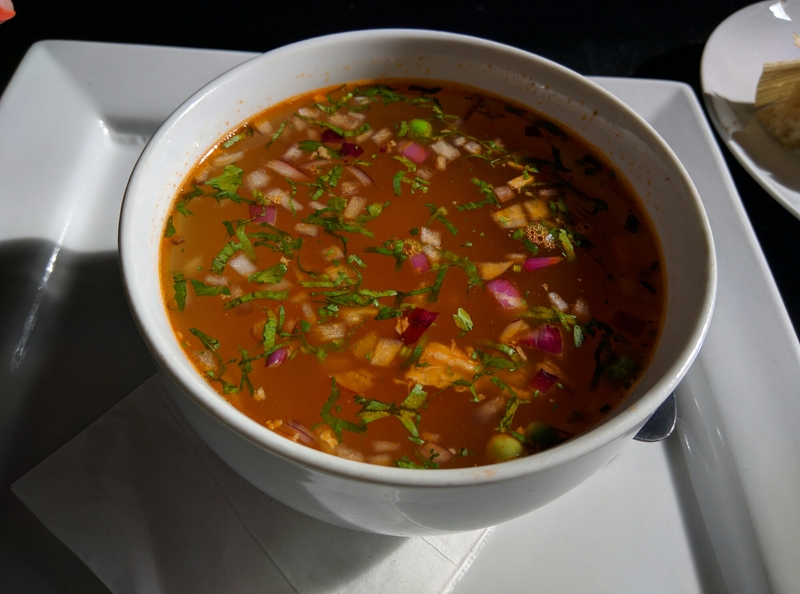 Plus, we added a chicken soup, and Nachos with beef (Cabos). The Chicken Soup came to us only luke warm. It had a nice spicy flavour with bits of rice. It was a bit on the oily side, as you can see a top layer of oil floating around. The Tamales with chicken came next. I’m sort’ve spoiled because the first and only time I had tamale before this was in Texas and they were prepared homemade, homespun recipe and they were humongous. They were so delicious and those are the tamales where I will be forever rating other tamales against… So of course, the tamales at Border MX failed big time. These came small (basically a third of the size of the ones we had in Texas). There wasn’t much chicken inside, and they were also dry. 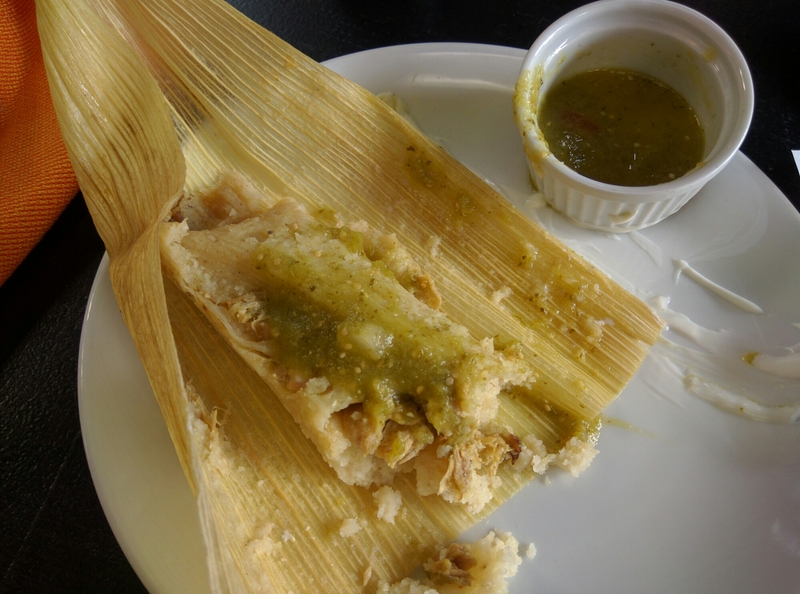 Plus, the tamale had a strange (plastic-y) taste. 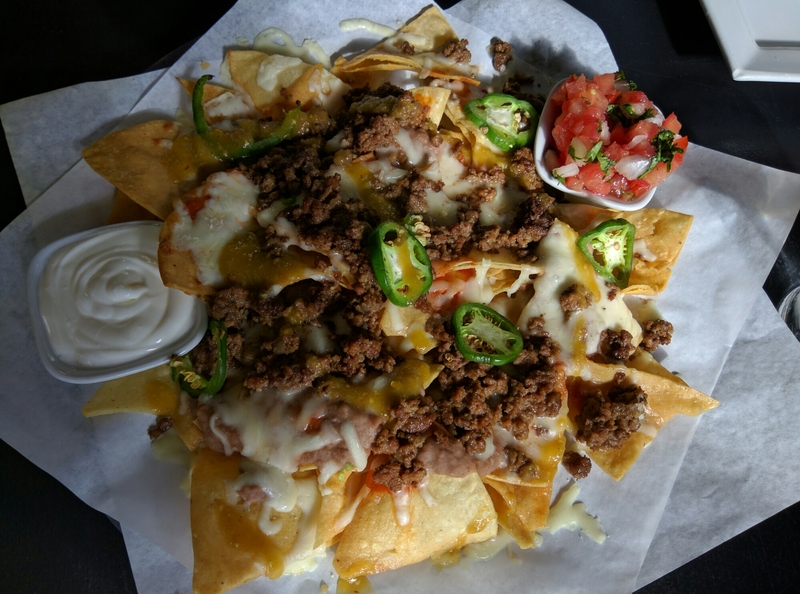 The Cabos (beef nachos) were very good and I enjoyed it alot. The serving size was bigger than I expected, as it was big enough to share. The nachos are home made, the refried beans tasted great on the nachos. The salsa and sour cream were on the skimpy side though. 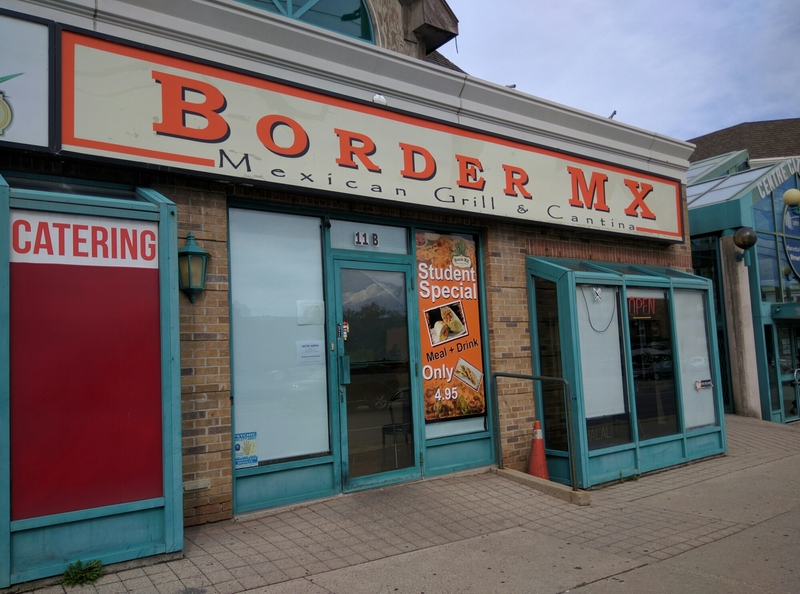 Overall, Border MX probably serves one of the better Mexican foods I’ve had in Toronto (Señor Burrito might be better;. I’ll have to visit again and compare) – their prices are good. 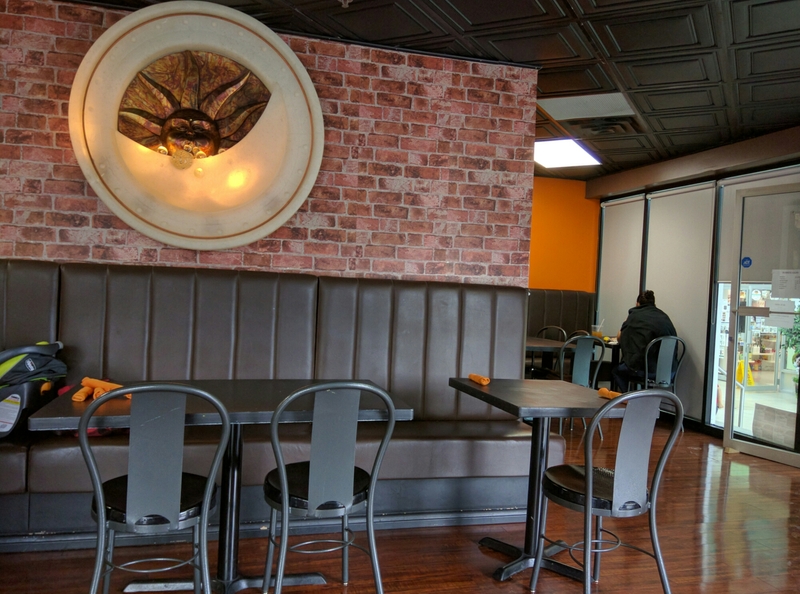 I’ve been to other more expensive, more decorated Mexican places in GTA, but this one is not pretentious and the food here tastes better. Despite the location, I will make it a point to come here more often. There are more dishes on the menu I have to try.